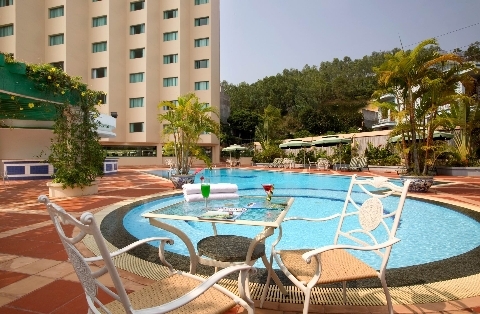 Ideally located by Halong Bay, a World Natural Heritage Site, Halong Plaza Hotel commands sweeping panoramic views of the bay and Bai Chay Bridge. 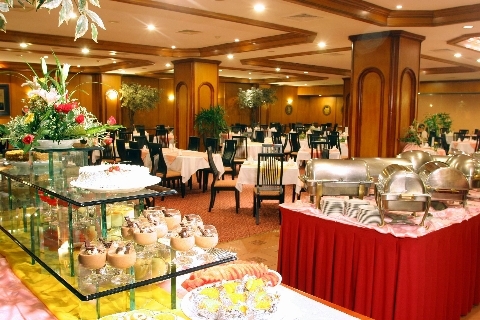 The hotel combines a warm welcome and excellent service to provide the ideal venue for business and leisure travelers. Luxurious and spacious, our 200 guest rooms and suites deliver the kind of intimate hospitality that keep discerning travelers coming back. Dine in gracious comfort while enjoying your choice of cuisine - whether it"s European, Japanese, Thai, or Vietnamese, especially fresh Halong seafood. 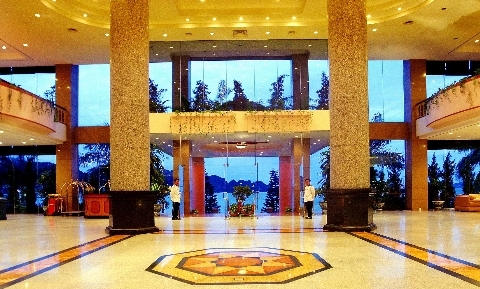 Come discover the beauty of Halong Bay and experience the luxury Halong Plaza Hotel. We trust our 4-star deluxe hotel with 5-star service will make you feel at home while relaxing or conducting business. Sea view. King-size bed or twin beds. Satellite TV, In-house movie, IDD telephone, Safety box, Refrigerator, Minibar, Mirror & writing desk, Weight scales, Sewing kit, Shoehorn, Clothes brush. Central air-conditioner and heater. 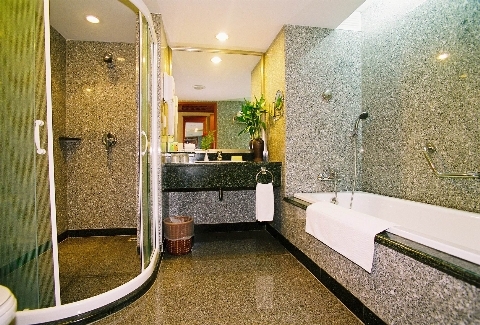 Bathroom with separate shower and bathtub, hairdryer, phone-extension, bathroom amenities. Wireless internet.